There has been an increasing number of women migrating for work from Central Asia to Russia in recent years, yet very little is known about their specific health needs. We conducted a scoping study to understand what is known about their health and to identify the gaps and research priorities among this population. We conducted a literature review and key informant interviews. Our findings were grouped around general health issues, access to and utilization of health care services, and sexual and reproductive health concerns. 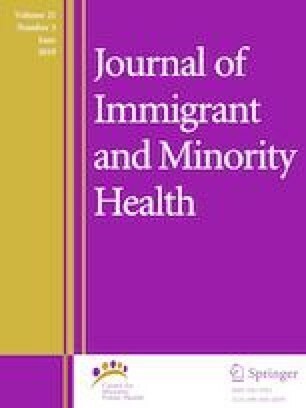 Through our review, we identified the following priority research areas: stress, acculturation and process of adaptation; cultural and gender norms influencing health; contraceptive use and sexual risk behaviors; prenatal care; patient-provider communication and trust; use of informal health services; and preventative health care. This study was funded by a Weiser Center Faculty Grant at the University of Michigan. Elizabeth King declares that she has no conflict of interest. Victoria Dudina declares that she has no conflict of interest. All procedures performed in this study were in accordance with the ethical standards of the Institutional Review Board at the University of Michigan and with the 1964 Helsinki declaration and its later amendments or comparable ethical standards. The Ministry of Internal Affairs of the Russian Federation, (2017), Svodka osnovnykh pokazateley deyatel’nosti po migratsionnoy situatsii v Rossiyskoy Federatsii za 2017. https://xn--b1aew.xn--p1ai/Deljatelnost/statistics/migracionnaya/item/12162186/ (Accessed August 4, 2018).